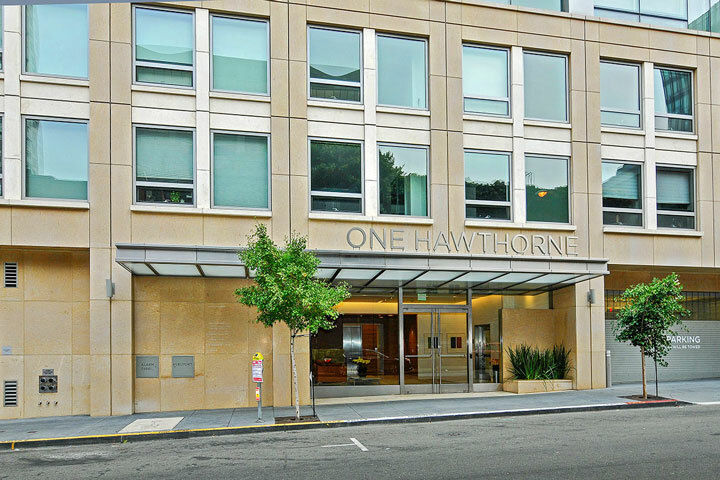 One Hawthorne condos are located at 1 Hawthorne Street in San Francisco, California. 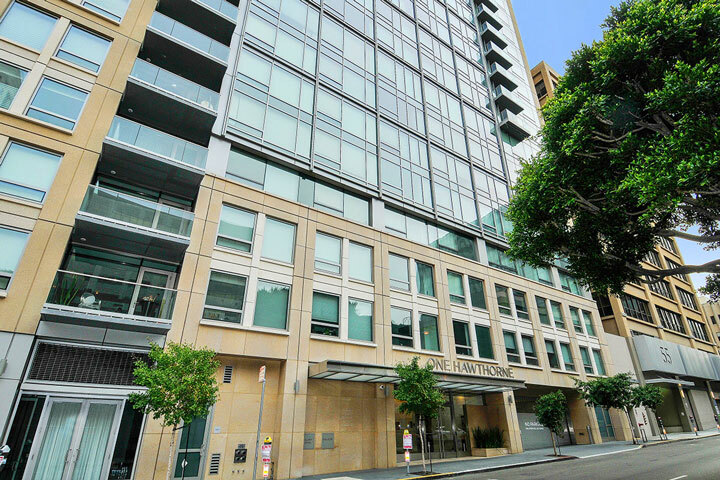 This is a luxury hi-rise building located in the Yerba Buena area and features studio to three bedroom units that range in size from 504 to 1,995 square feet of living space. Built in 2010, the building offers a variety of features that can include floor to ceiling windows, open kitchen space and large bedrooms. Below are the current One Hawthorne condos for sale and for lease in San Francisco. Please contact us at 888-990-7111 with questions regarding this community and any of the condos listed for sale here. The One Hawthorne community offers many neighborhood amenities which include a roof top barbecue and lounge deck, 24 hour concierge, fitness center, bike storage and valet parking. There is also on-site property management that's included in the monthly homeowners association dues. There are many great local cafe's in the immediate area as well local transportation. It's also an easy walk to the Financial District and the Union Square area.